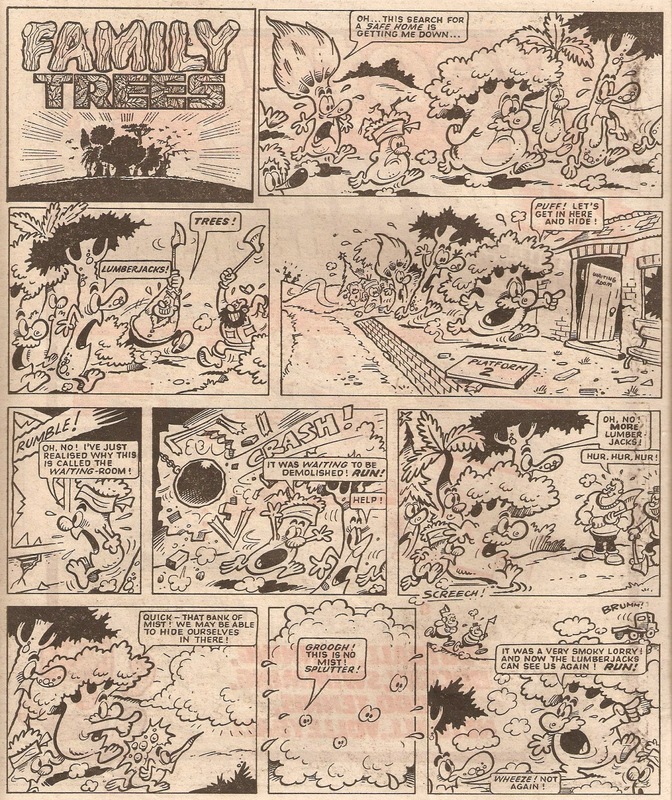 Several weeks ago I found a Fleetway comic that I'd hadn't come across before. It was called All Action Monthly, and this particular issue is number six, dated July 1987 and priced 65p. 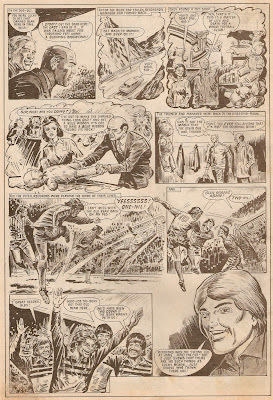 Charlie Champ's War takes up a thick chunk of the 72 page comic, and also in the lineup are Racey's Rocket, Dredger and "You've Got To Be Lucky", the latter starring Roy Race of Roy of the Rovers. 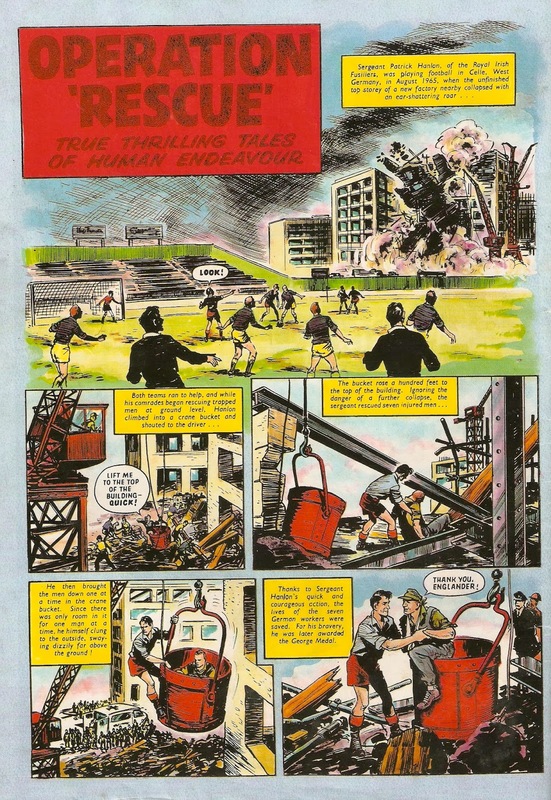 The back page was occupied with a strip called Operation Rescue and subtitled 'True Thrilling Tales Of Human Endeavour'. 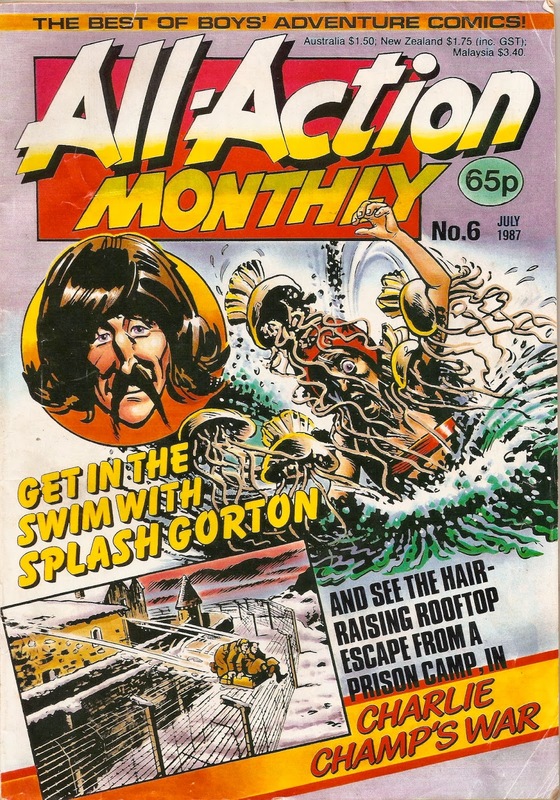 All-Action Monthly launched in February 1987 but didn't take off and after a mere eight issues it was laid to rest, failing to merge into any other comics. I like coming across comics I haven't seen or heard of before. It only goes to show that there's always more out there! Last Few Days to Vote! 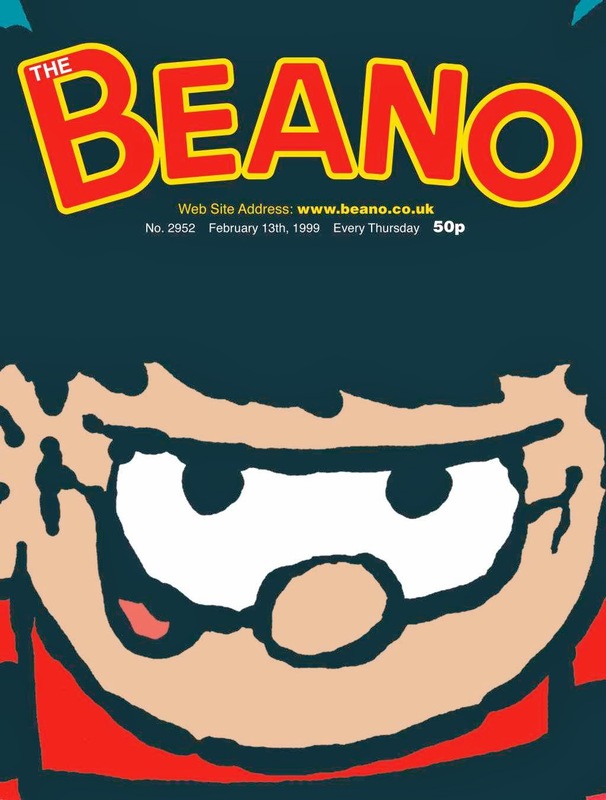 Remember, you've only got a few days left to vote for The Beano to be the cover of the century to celebrate the 100th birthday of PPA! 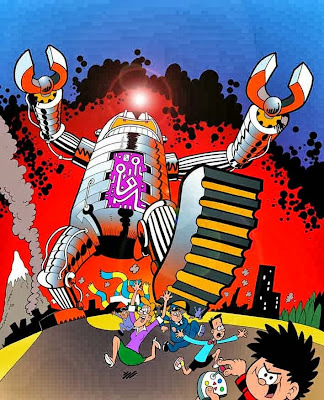 The cover is above, and you can vote by clicking on the link below or by clicking on the cover image on the right hand side of this blog. And don't forget - you can vote every day until 5PM on the 30th September - and every vote counts! What you see above is the printer's colour proof for the front cover of the very first issue of Monster Fun, and on the right is the final version, both illustrated by Robert Nixon. It seems that after they saw the one on the left in its final form they decided against it and changed it to the more familiar version on the right. I can see one possible reason for the change and that is with the logo. 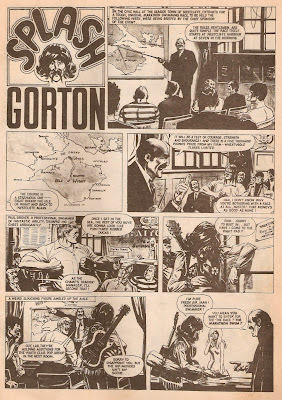 On the original the word 'Monster' appears on the top line, and the words 'Fun Comic' appear on the bottom. This could lead to the comic being called just Monster when it's actual name in Monster Fun. The original design is good but the final one is better and I'm glad they chose it. 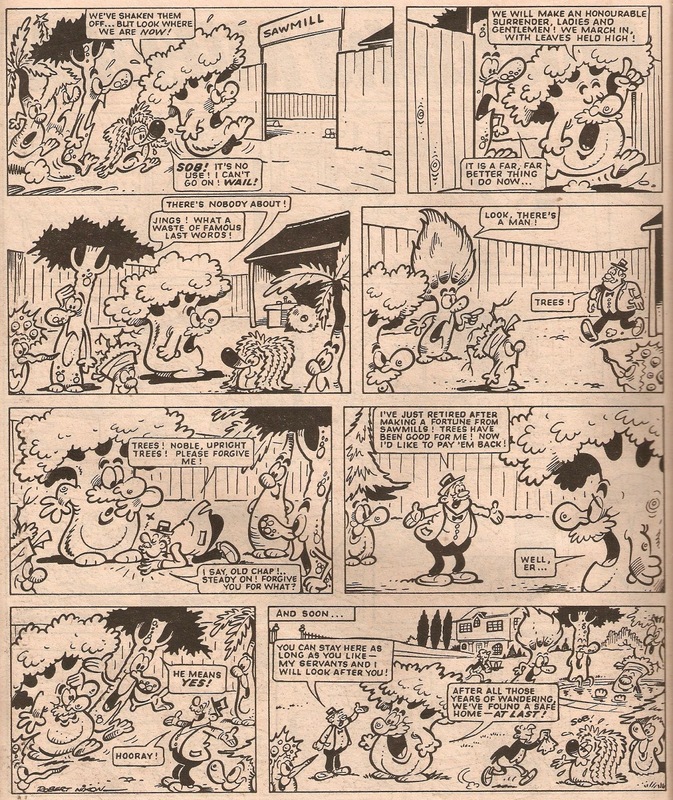 It's interesting to see this unique piece of British comic history, but unfortunately this is the best image of it I have. So, which one do you prefer? 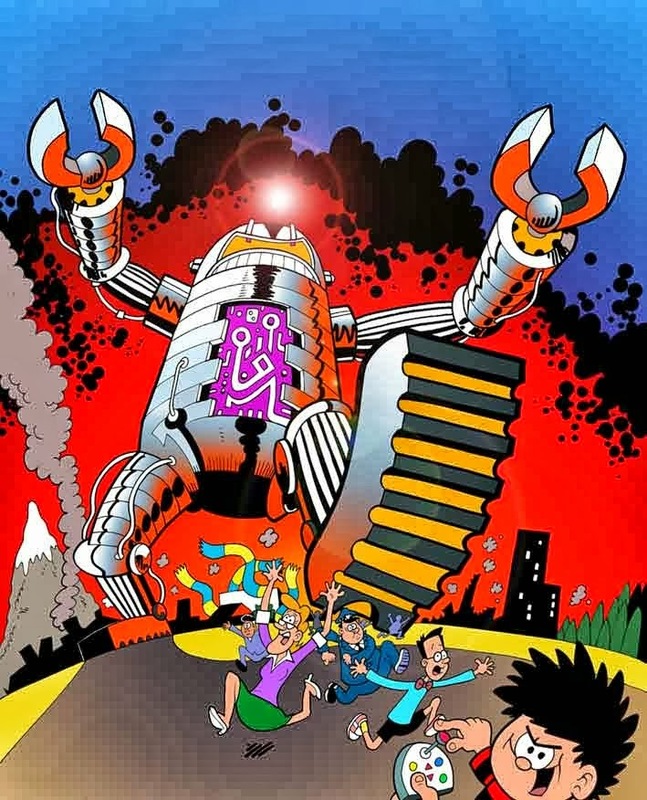 Robots Take Over The Beano! This weeks Beano arrived through my mailbox yesterday, and it had a bright, shiny silver cover. I like the silver; it adds a nice effect and looks pretty cool! The only problem is, they've ruined the cover by adding loads of unnecessary text and pictures, and it all looks like one great big mess! Over on his blog Nigel Parkinson posted another design for the cover. I like this one far better, particularly the colours and the positioning of Dennis, but sadly it wasn't used. Still, it's nice to see. It all improves inside though. 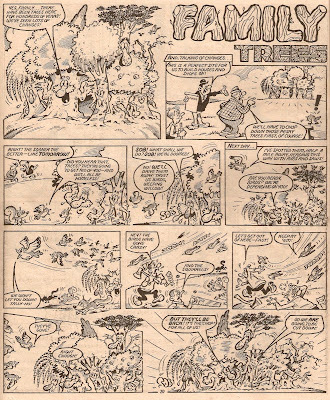 Calamity James is back and not in reprint form, but new strips by Les Stannage. 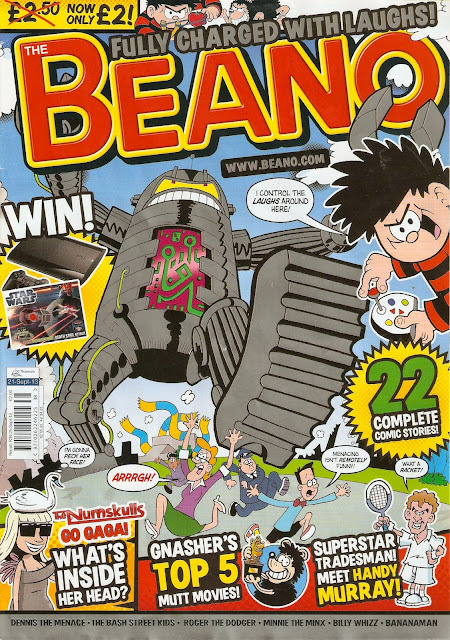 This is Les' first time in The Beano, and he has two whole pages! 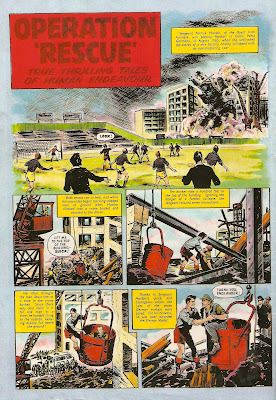 He has done a fantastic job of illustrating Calamity James, sticking with Tom Paterson's classic style but also adding a bit of a personal touch - it is definitely one of the highlights of the issue. 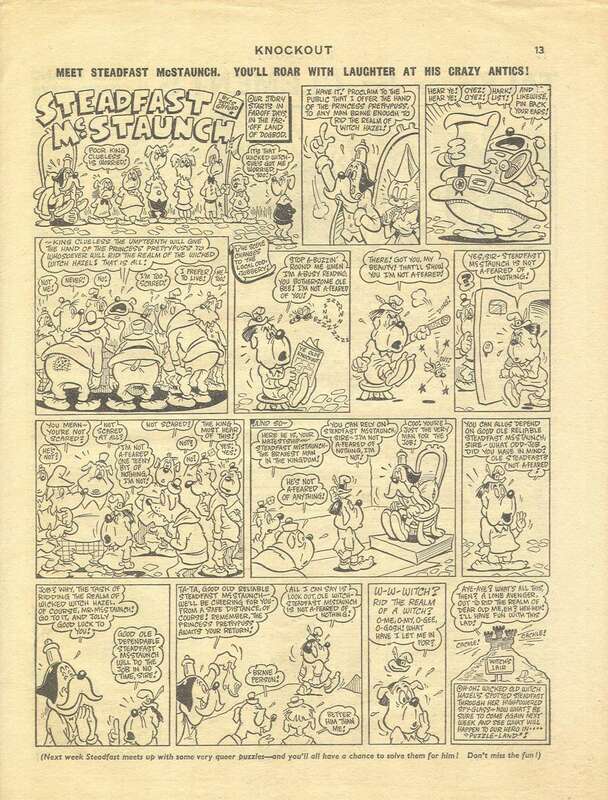 Also, Minnie the Minx has a brilliant strip on the back cover and The Bash Street Kids have a hilarious visit to the swimming pools (although unfortunately their new registered trademark logo is still used, and looks awful compared to the unique and individual ones that used to appear every week, in my opinion). 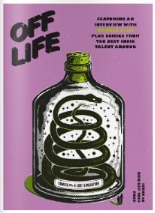 All this and more for £2, out now at a store near you! "Hi, readers! 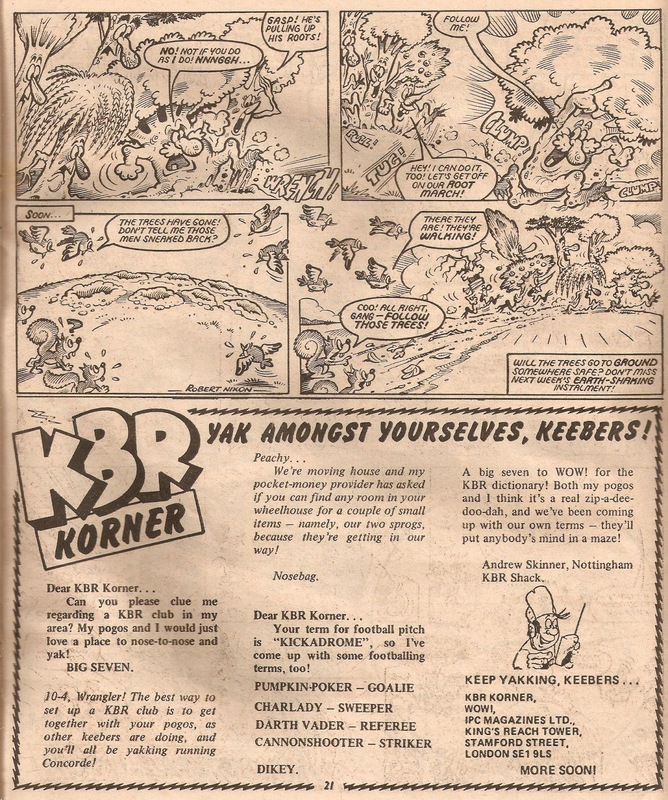 We promised you exciting things in 1983, and some of them are starting right now! You can enjoy the fun with 'Family Trees' and 'The Upper Crusts and the Lazy Loafers' and discover the opinions of WOW! readers in our new feature 'WOW! Top Ten'! Your friend, The Editor". And just like that, Family Trees was born. 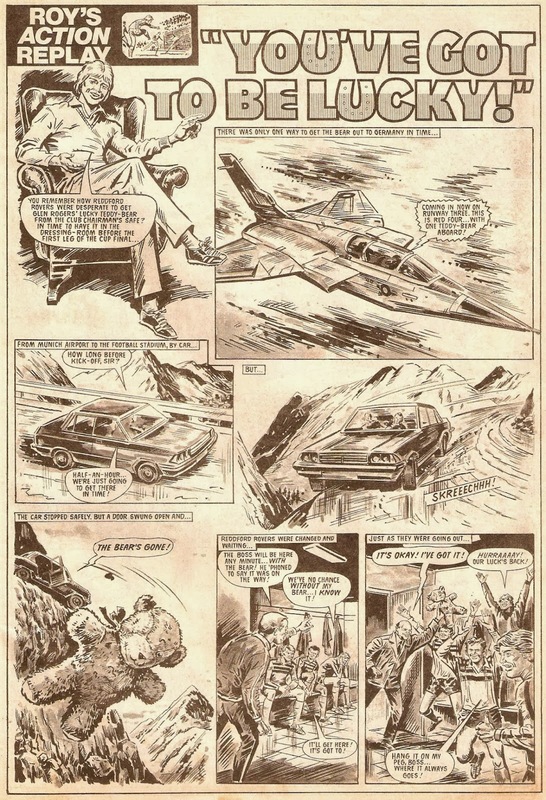 Illustrated by Bob Nixon, the first episode appeared spread out over one and a half pages in Wow #32, dated 8th January 1983. 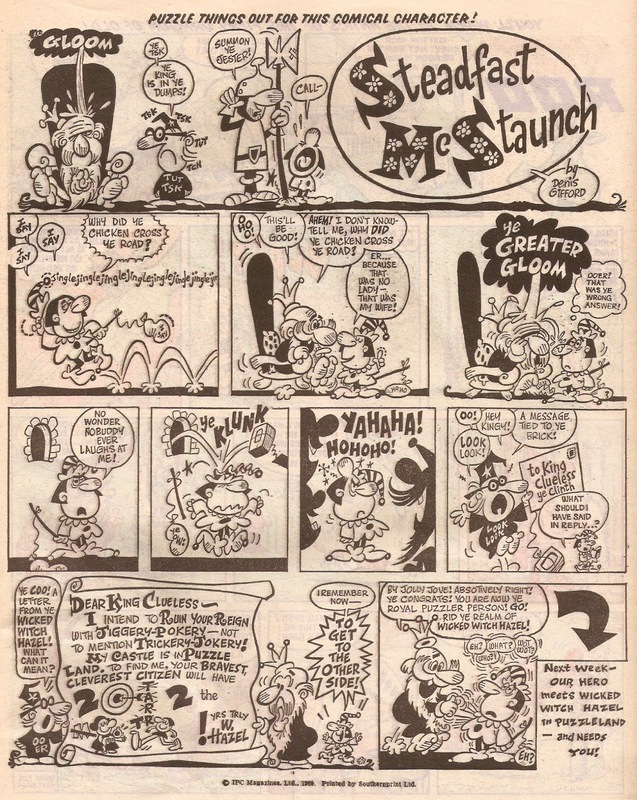 They continued in their one and a half page format until Wow merged into Whoopee and they were given two pages. 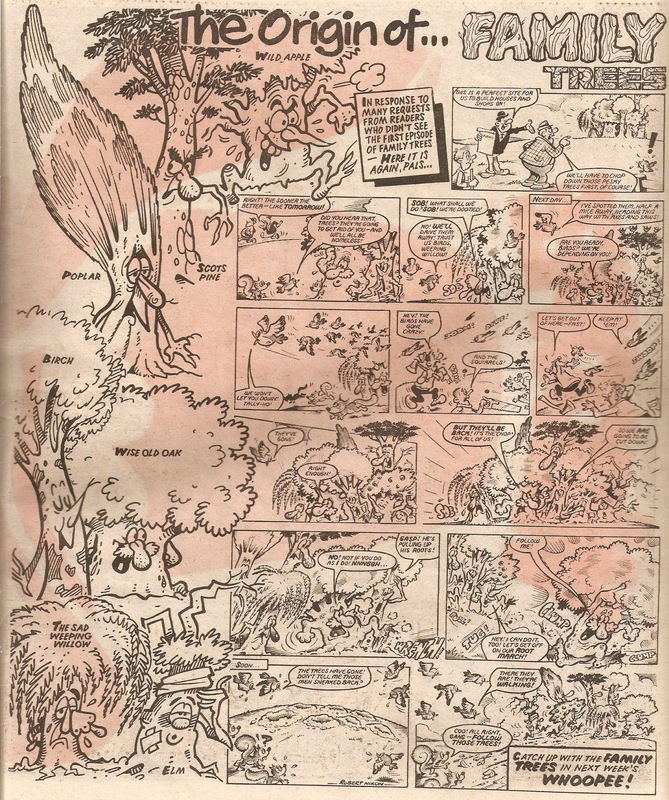 They swiftly became one of Whoopee's prominent features, and soon after were given the centre spread where they appeared in glorious full colour. 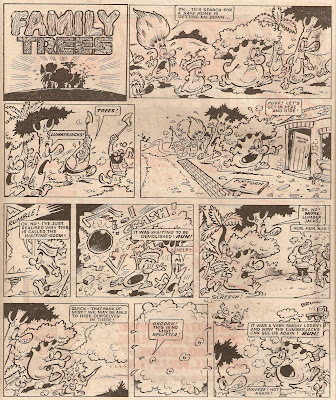 In the 500th issue of Whoopee their origin story was reprinted, apparently because many readers had requested to see the first episode, as they hadn't read Wow and therefore had never seen it. Whether or not this is actually true, or it is because they needed to fill a page I don't know. 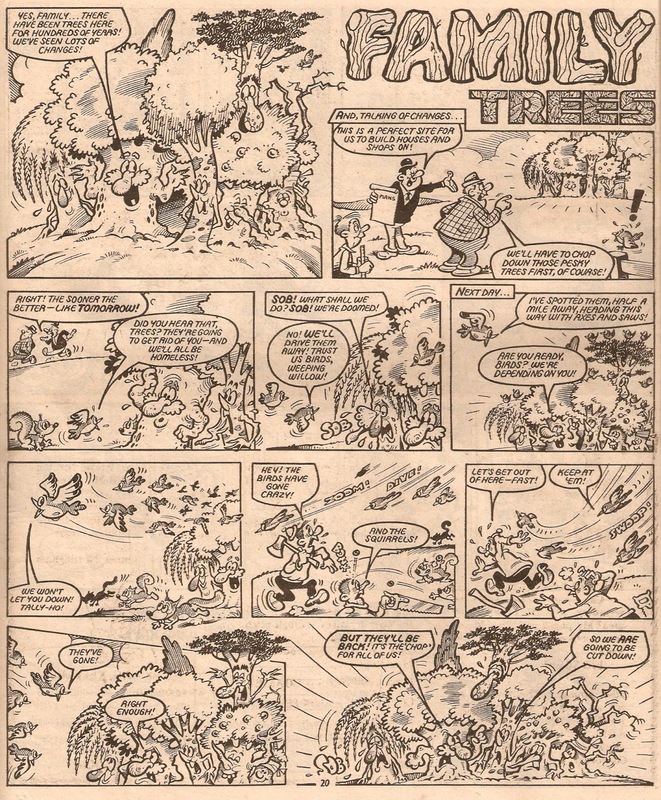 It's interesting to see that the strip was reduced from one and a half pages to just one, and all the trees are named at the side. The trees kept walking, forever trying to find somewhere safe where they could plant their roots and live happily ever after. 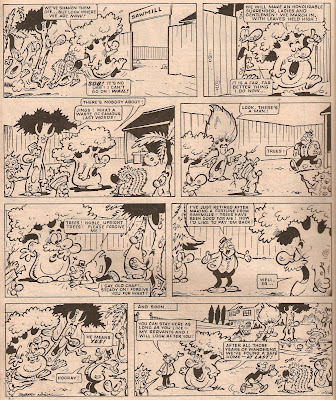 They finally found somewhere in the last issue of Whoopee, in the grounds of a mansion. And that's the story of Family Trees. 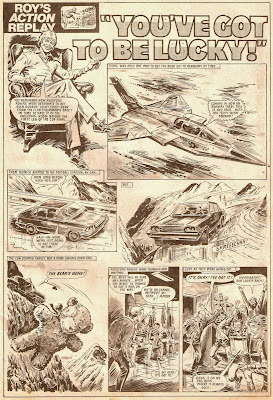 If, like me, your favourite era of comics is the 1980's (well, for Fleetway's stuff at least), Wow is definitely a comic worth seeking out. 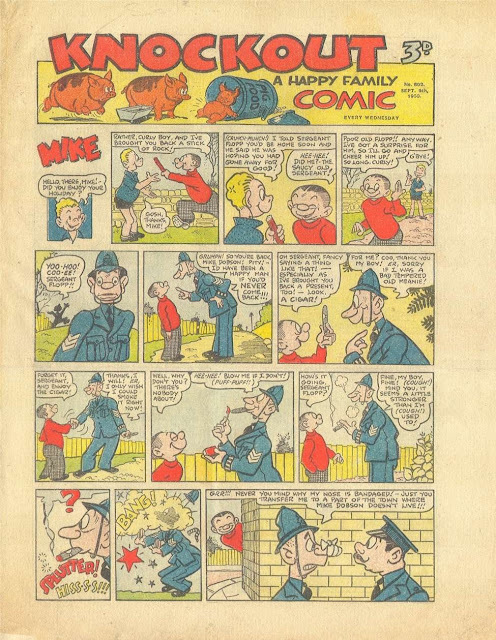 Let's head back to the newsagents shelf this week in 1950, and take a look at just one of the many comics that was on sale at the time - Knockout. 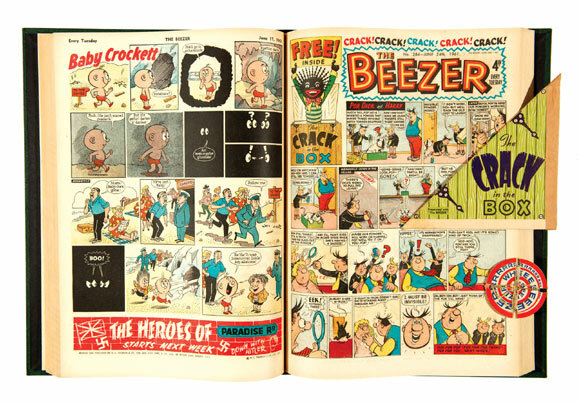 The cover star of Knockout is the ever-popular Mike, who would be reprinted many times in the future, most famously under the name Smiler. This particular episode shows Mike offering a cigar to Sergeant Flopp, a scene that would never even get close to appearing today! Art by Eric Roberts. 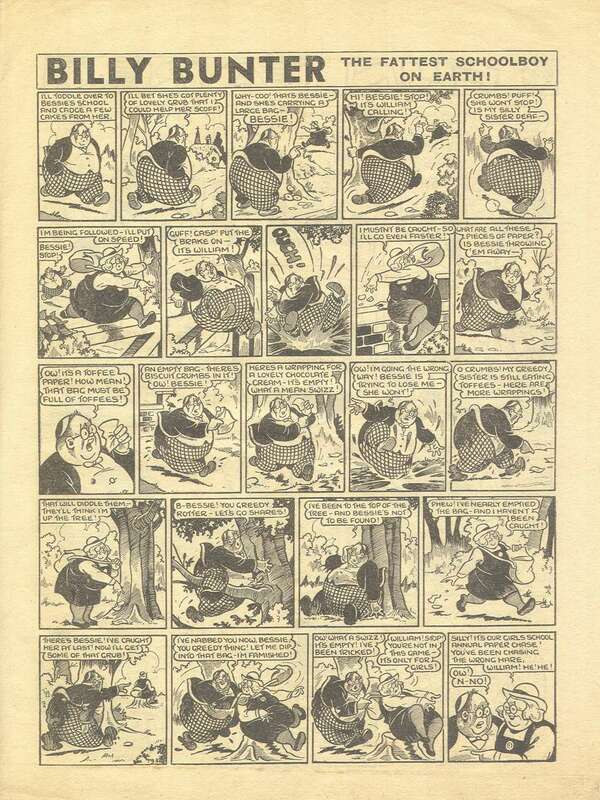 Knockout's most famous character has to be Billy Bunter. 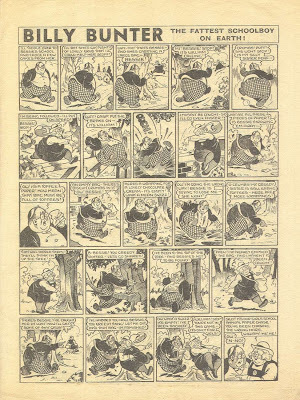 First appearing in the Magnet in 1908, the bloated, loveable buffoon was so popular that at one point Knockout was even named Billy Bunter's Knockout! 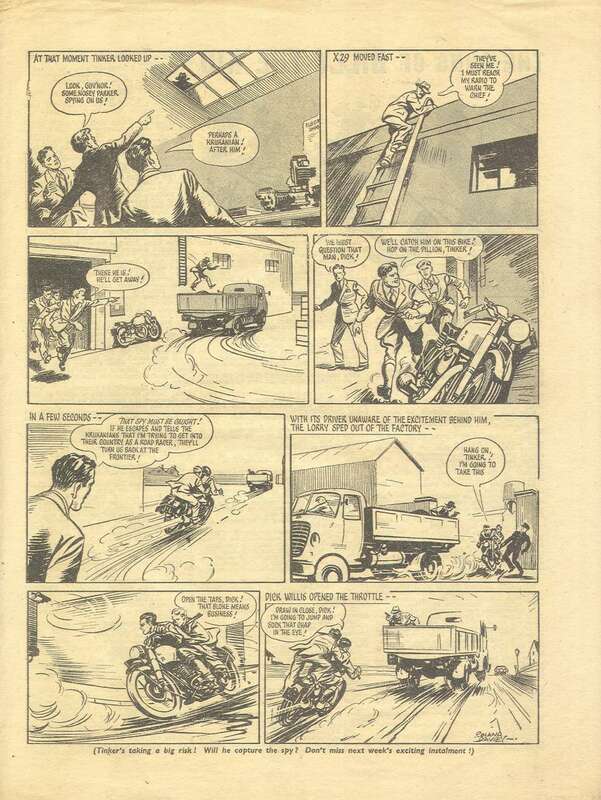 That hadn't happened yet though, and at this point Billy still appeared in black and white on an inside page, illustrated by Frank Minnitt. 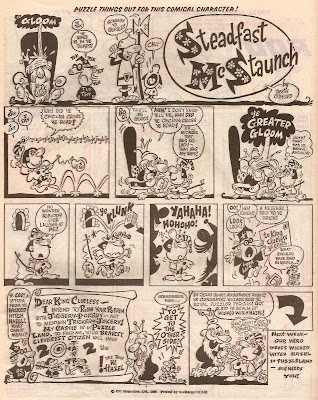 Comic historian and cartoonist Denis Gifford also drew for Knockout, illustrating Steadfast McStaunch. 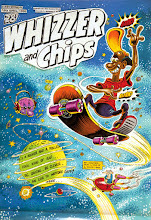 This was McStanch's first appearance, and Denis later revived the character again, using the same storyline, when Whizzer and Chips was launched in 1969. 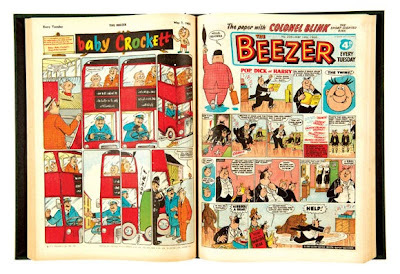 Here are both episodes, the first one from (this issue of) Knockout, and the first one from Whizzer and Chips. 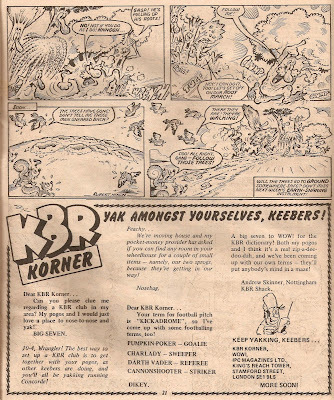 From this issue of Knockout. From #1 of Whizzer and Chips (1969). 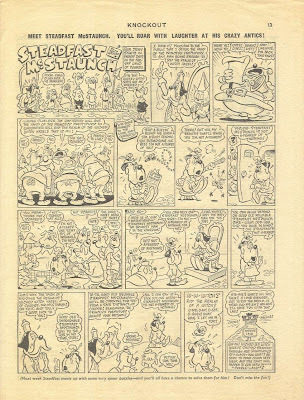 Freddie Frog is an interesting strip. Illustrated by Peter Woolcock, it's the story of a frog and his friends who, following an age-old idea, dress, talk and act just like humans! What doesn't make sense though, is why the horse doesn't, instead it acts like... well... a horse! 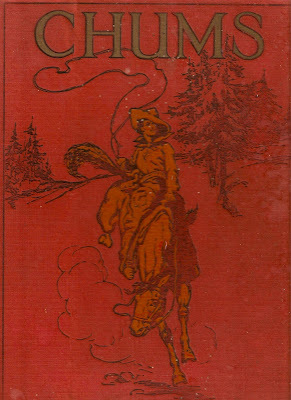 Sexton Blake also stars inside, which is a surprise to me but interesting to see nonetheless. His strip is the first one in the comic and takes up two pages. Art by Hal Meredith. And finally, my personal favourite strip in this particular issue is Sporty, by Reg Wootton. This episode had me laughing out loud - and I'm sure it will with you too! We'll be taking anyother step through the comics time portal soon, and who knows where we'll end up! Plug It On Your Shirt! 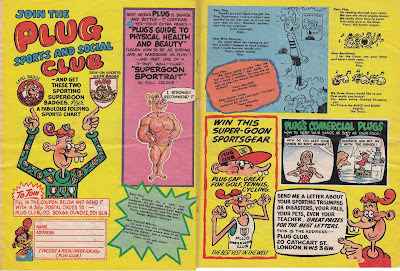 I don't own any free gifts of any old comics before about 2007/2008 (or thereabouts), but one thing I do have is a Plug Sports and Social Club Badge. This badge was given away when you signed up for the Sports and Social club in Plug comic. 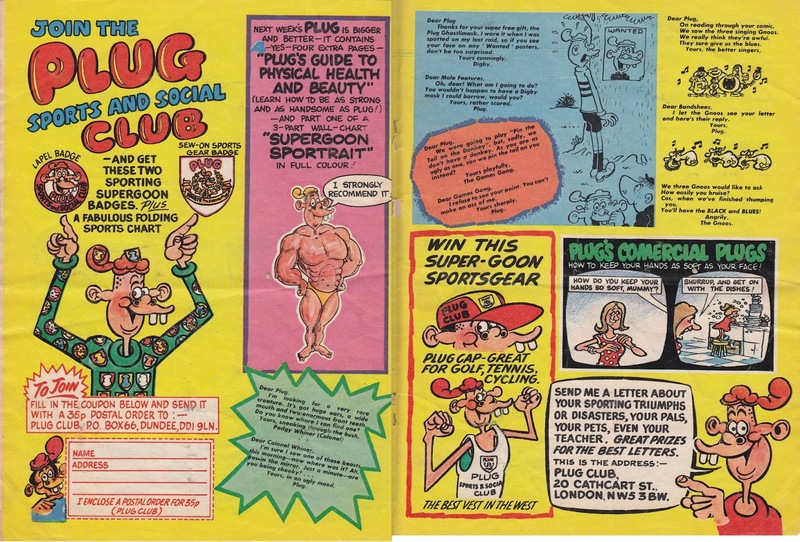 I don't actually own any issues of Plug, but here's an image I've "borrowed" from Twoheaded Thingies. 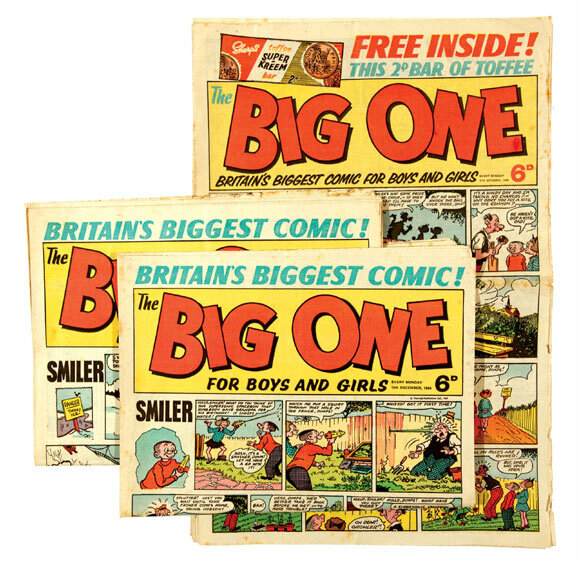 The September 2013 Compal Comics auctions end on Tuesday, so you've only a few days left to browse through the latest catalogue and, if you wish, place a bid! Here are some of the goodies to get you interested. 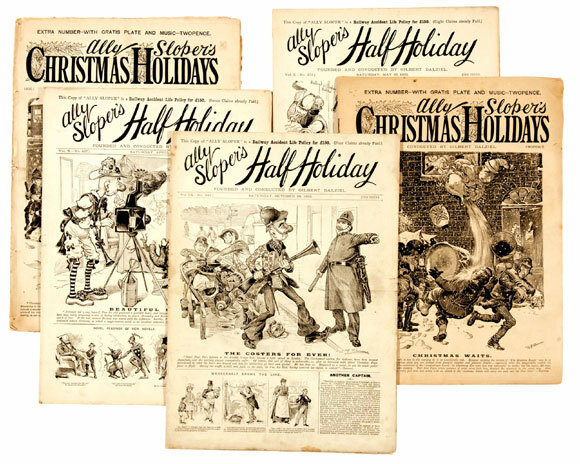 It kicks off straight away with the very first auction offering FIFTY issues of Ally Sloper's Half Holiday, including several Christmas issues, which had a one-week name change to Ally Sloper's Christmas Holidays. The estimate for them is £120 - £150. 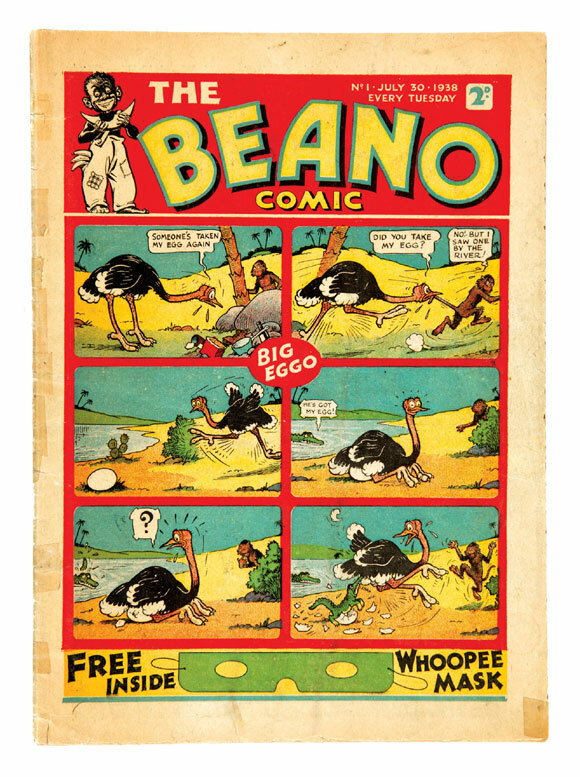 The first issue of The Beano is also up for grabs, and this particular copy comes from Denis Gifford's collection! 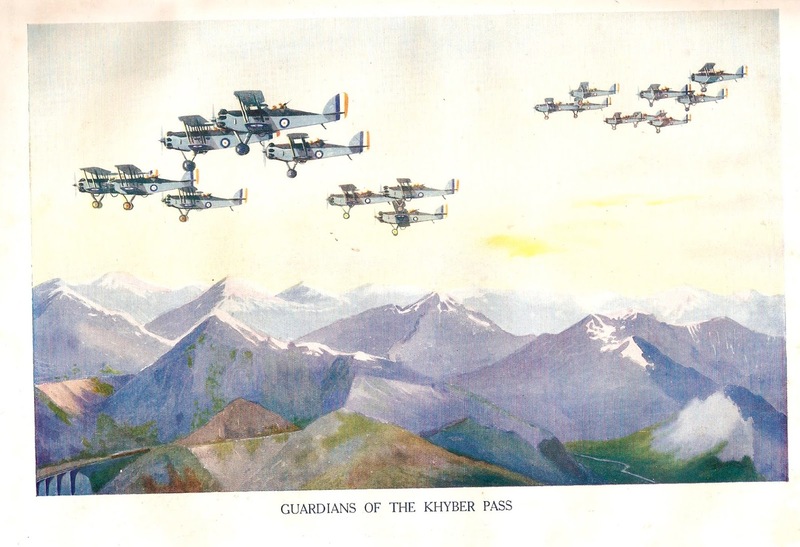 He slightly trimmed it to fit it into a plastic folder in the 1970's, but it is still expected to sell in the region of £2,500 - £3,000 - a lot of money for only 28 pages! At lot #73 is a fantastic looking Oor Wullie page from the pen of the great Dudley Watkins. And it could be all yours if you place a bid in the estimated selling range of £400 - £450! 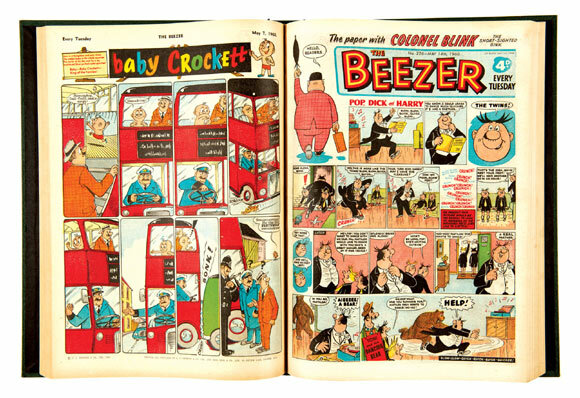 Also offered are two complete years of The Beezer from 1960 and 1961, graded in fine - near mint condition! They estimated to sell for at least £400 apiece. And the last lot I'll be showing here is lot #106. There are nine issues of the very scarce The Big One comic from the mid 1960's, including the first issue and the only fireworks issue. Graded at very good - very good plus, they are expected to sell for anywhere between £90 - £120. The bidding closes at 8PM UK time on Tuesday, so if you've seen something here you're interested in, or see something in the catalogue you like, be sure to get your bid in soon! 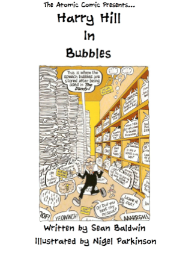 There are five different catalogues, and you can look through them by clicking on the "Catalogue" tab on the website, and selecting which one you would like to browse first. 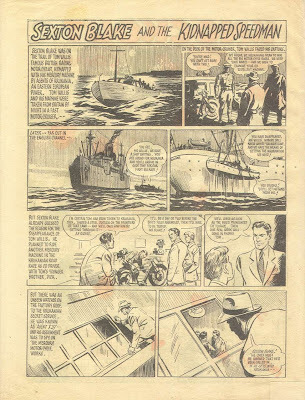 You can find some strange and interesting things inside old second hand comics, which were added in by one of the previous owners. 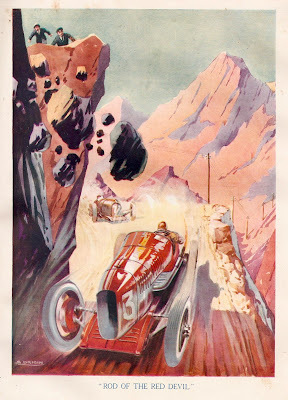 I came across one recently, when I decided to buy a Chums volume from 1931 - 1932. 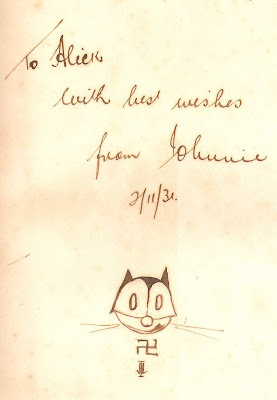 On one of the first pages inside is an illustration of no other than Felix the Cat, followed by what is now immediately recognised today as a Nazi symbol. It isn't a Nazi symbol of course, as before Adolf Hitler turned it into what it is now known as it was commonly seen as a good luck charm, and a symbol of peace (although according to Wikipedia Hitler started using it in 1920). 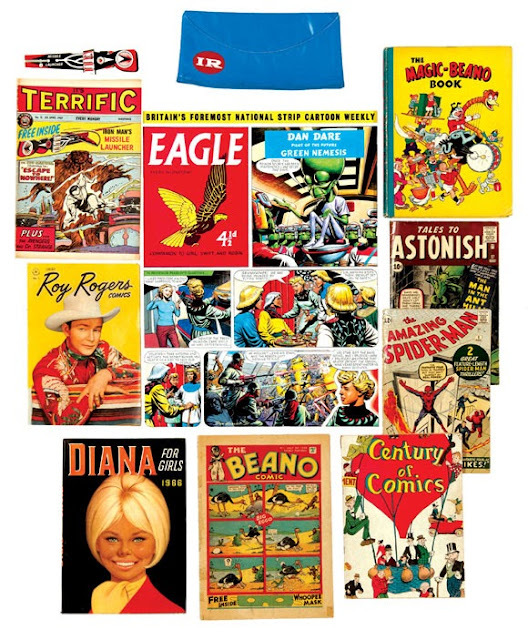 Anyway, we're not here for a history lesson (unless it's about comics of course! 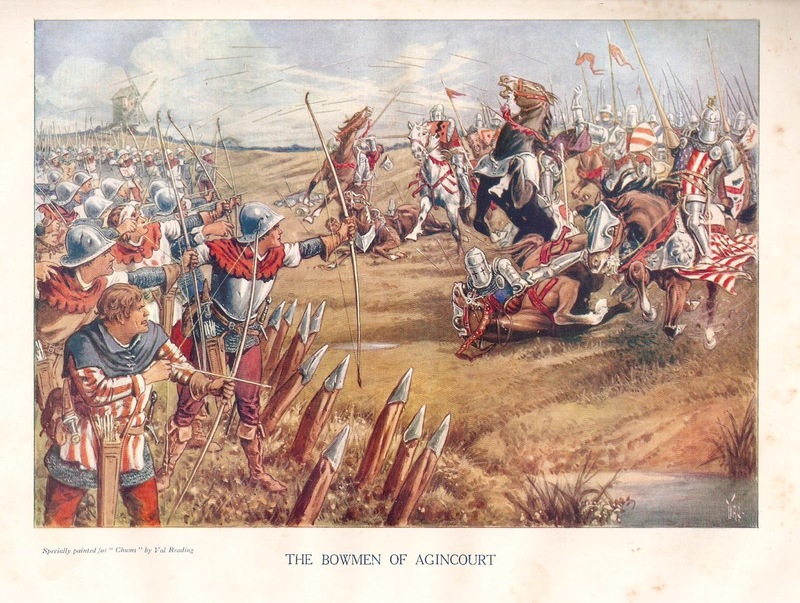 ), so here are some of the "colour plates" from the bound volume for you to enjoy! To view them in full size, click on them, and click on them again! 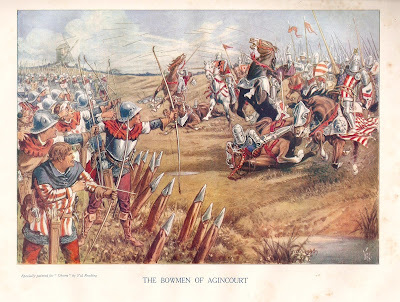 Even if you're not interested in reading the countless text stories in these volumes the colour plates are great - they're all incredible painted and look absolutely fantastic and so a copy is well worth picking up! The Chums volumes come in big red chunky books, and most (if not all) of them have the same cover, shown below. a crook in woman's clothing. Frederick George Cordwell did not live to enjoy the ripest years of his creation's immense success, although was also spared the years of its decline and closure. 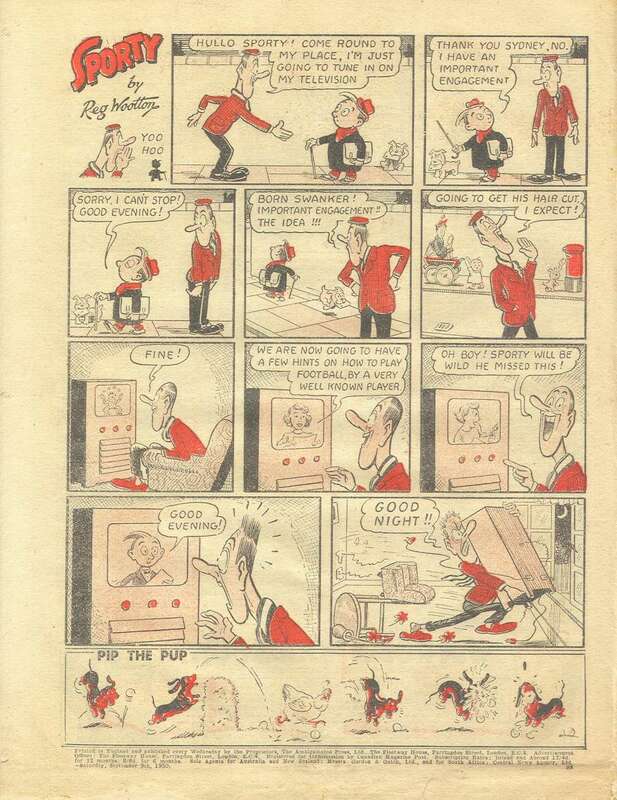 He died in 1949 at Richmond, Surrey, aged sixty-two, having spent all his working life among comic papers, twenty-nine of them as 'Eddie, the Happy Editor' of Film Fun. 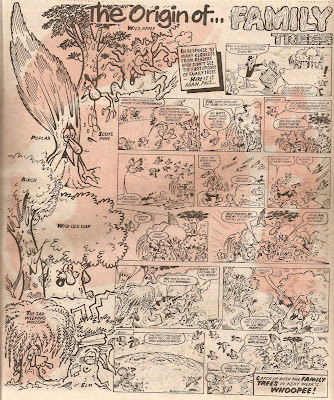 Among collectors of comic and Old Boys' papers, Cordwell is reverently regarded as a genius. From the recollections of the people who worked with him he emerges as something of a comic character himself: bluff, bald and bowler-hatted, flamboyant and a touch eccentric, and completely immersed in the droll world he created from his cramped office in Fleetway House, Farringdon Street. 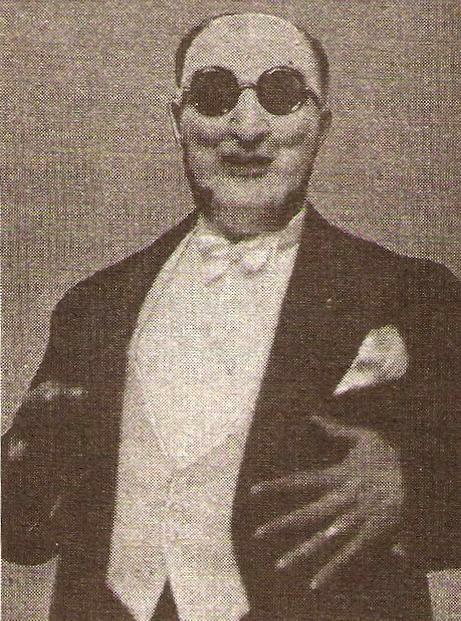 This immersion was so total at times that Cordwell not only devised the 'wheezes' for Film Fun and wrote most of the stories, but occasionally posed for the pictures that illustrated them - usually as a leering villain and on one occasion a Moriarty-type character called Professor Lewdroc, which is of course Cordwell spelled backwards but without the final 'l' which would have imparted with a hardly credible Welsh flavour! Although the son of a lawyer and college-educated, Cordwell's Lambeth upbringing brought him into early contact with working class people, and his proudly cultivated Cockney tastes and interests all his life. Despite his comparative wealth - his salary was for many years boosted by an agreement in which he was paid a bonus for increasing the circulation of Film Fun - he preferred to spend his evenings in music halls and Fleet Street pubs rather than in West End clubs and restaurants. He was an avid picturegoer when people of his standing wouldn't be seen dead in a cinema. Almost without exception the writers and artists who worked for him were East Enders and working class craftsmen, and invariably his drinking companions. He had an instinctive understanding of the tastes and yearnings of the ordinary man and, as it turned out, of the ordinary youngster. 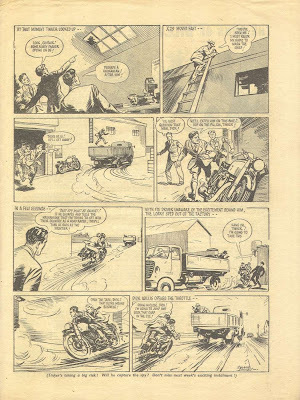 Cordwell thus possessed the common touch necessary in an editor of any mass circulation medium, as vital for publishing a comic as a newspaper. Time and time again, writers and artists were admonished - in surviving correspondence - to observe some tiny detail, to make some visual gag clearer, to correct a lapse of taste, to make a drawing funnier. To enliven the uniformity of style he had stamped on the paper his searched constantly for new ideas and gags for the strips, at trade screenings of newly released comedy films, from vaudeville sketches and even from the works od P G Wodehouse, whom he claimed was an old school chum. Cordwell ran his ship with a iron hand, and was not above trotting out his more sophisticated tastes and knowledge to intimidate colleagues. In his office the running captions under the drawings were always referred to as the 'libretto' in deference to his reputation as a music-lover. 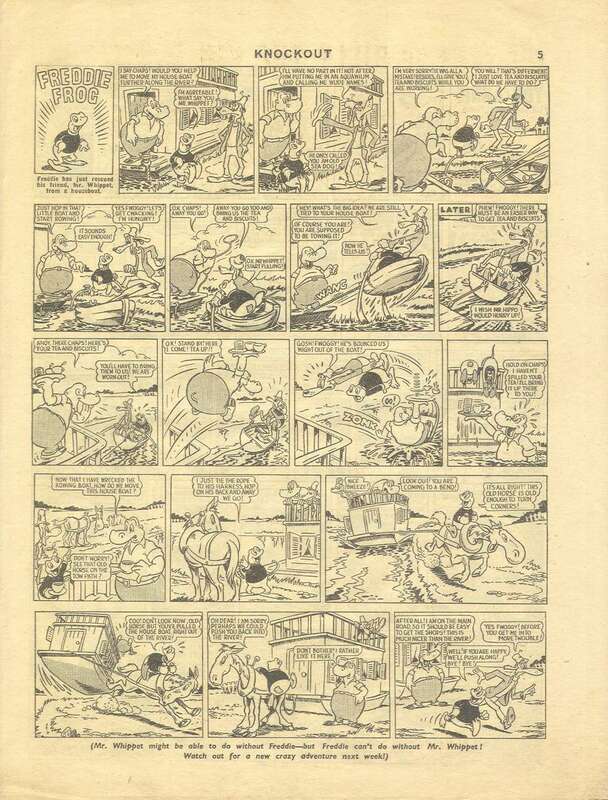 Selecting the comic stars to appear in Film Fun strips was apparently an idiosyncratic process. The editor had his per likes and dislikes, and it was said that Fred Cordwell "simply could not stand" Danny Kaye, for example, which is why, despite his enormous popularity in the 1940's and 1950's, he was never featured in the comic paper. 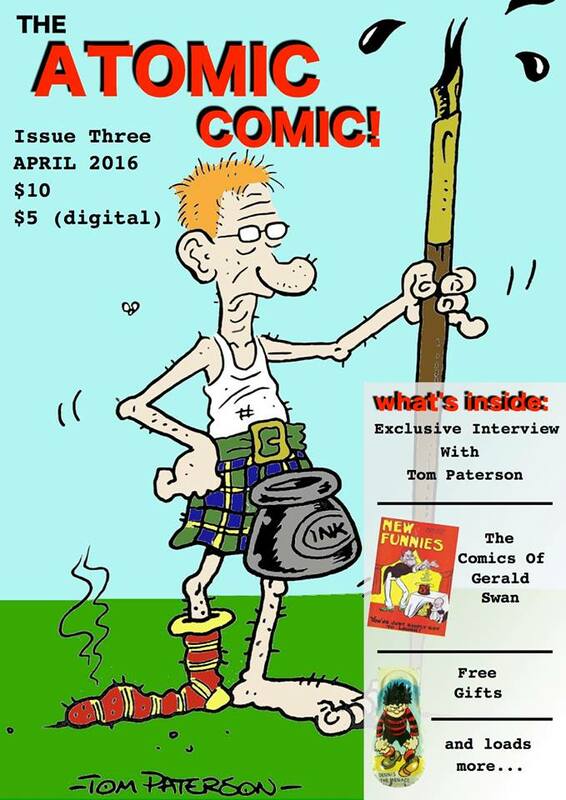 No payment was ever made for the right to use a comedian's name or character (publishers today will choke on this! ), and permission, when it was sought at all, was usually a verbal agreement with an agent or distributor. 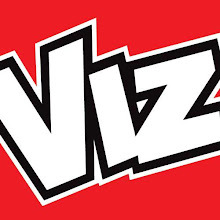 In a few cases comedians or their agents, realising the tremendous publicity it represented actually solicited Film Fun to run strips based on their screen characters, but for the most part the editor hoped his best-selling properties would never be the subject of litigation. 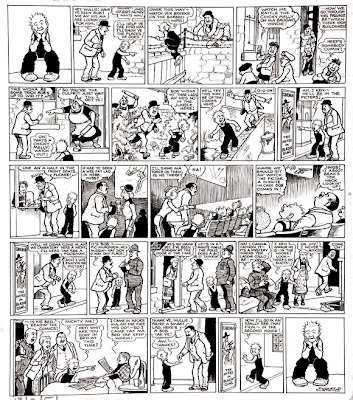 When Laurel and Hardy visited England on one occasion, Bill Wakefield, who drew this strip, was expressly forbidden to go near them in case they asked for money. 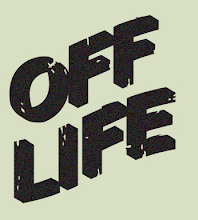 The real beauty of pirating a comedian's screen persona was that there was no interference and no direction as to what was permissible and what was not. In only one case was a strip vetted regularly. 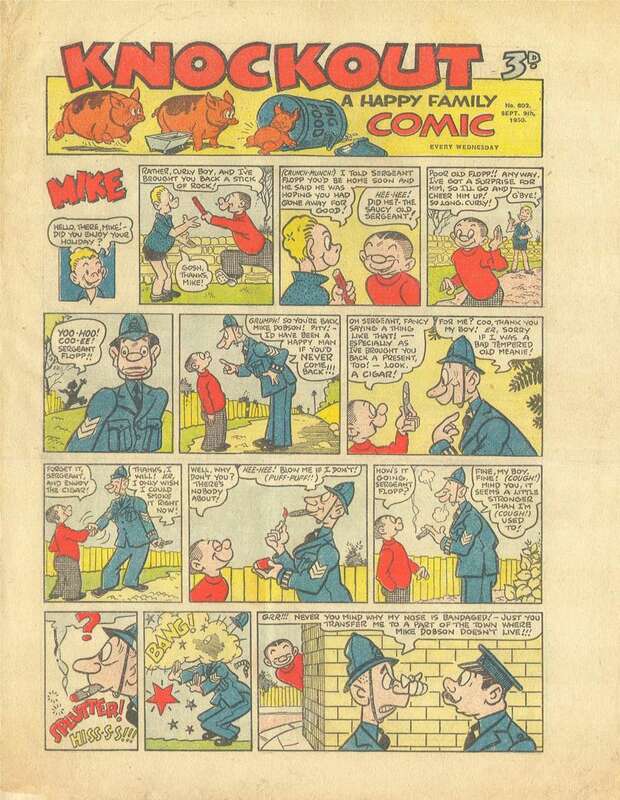 Objecting about an incident portrayed in one of her husband's strips, Beryl Formby obtained a grudging agreement from Cordwell that he would submit all George Formby artwork for her approval before publication. 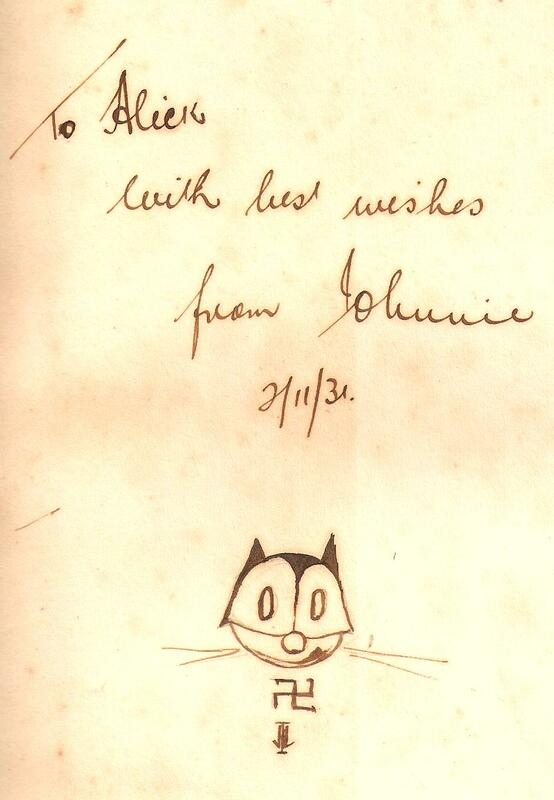 Because Formby was unquestionable the most popular film star in Britain at the time, the editor had no alternative. Cordwell's breadth of knowledge also extended into food. He regarded himself as something of a bon vivant, and although in fact his preferences were steak and kidney pudding, stewed eels, pie and mash and Guinness and oysters, his already food-conscious artists were never allowed to forget his superiority in matters gastronomic. 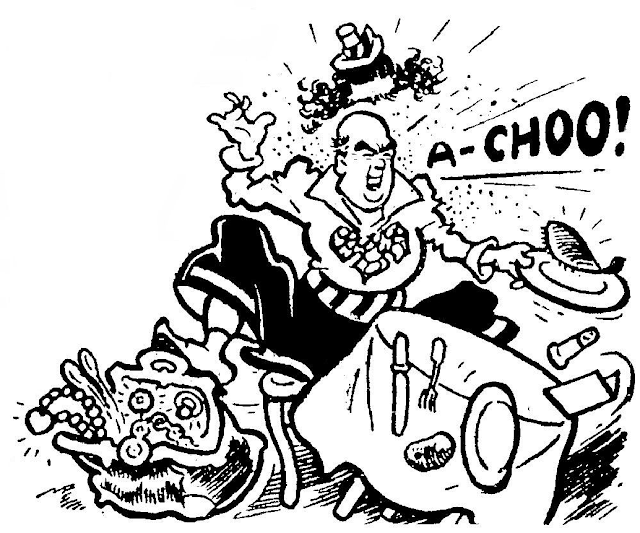 "Mr Cordwell would tell the artists to load the table with food," recalled jack Le Grand, who joined the staff of Film Fun in 1936 and later became its editor. "On one occasion an artist brought in his drawings for a Christmas number. The final frame showed the characters gathered around the Christmas feast, replete with turkey, pudding and mince pies. 'Make the turkey twice the size!' Mr Cordwell shouted, 'And make the pudding the biggest anyone has ever seen!' 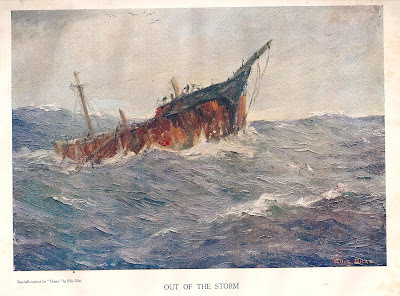 The artist groaned, complaining there would be no room left in the frame for the characters." Fred Cordwell's epicurean enthusiasm may eventually have brought around his end, for he dies, it is said, with a glass in his hand. Judging by the number of appearances, Cordwell never minded being included in the strips. 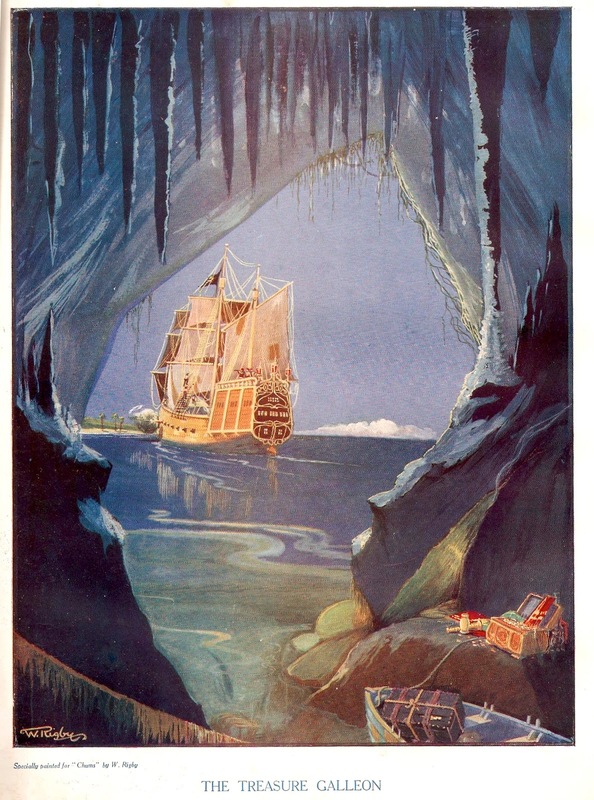 This article came from the book 'The Wonderful World Of Film Fun'. I'm only part way through it but so far I've found it to be a comprehensive and engaging book through even minor details from arches to coalholes! Anybody who is a fan of Film Fun or wants to find out more about this undeniably successful Golden Age comic should most definitely buy this book. Written by Graham King and Ron Saxby, it is a thorough look at this marvelous comic and is illustrated with appropriate images throughout. 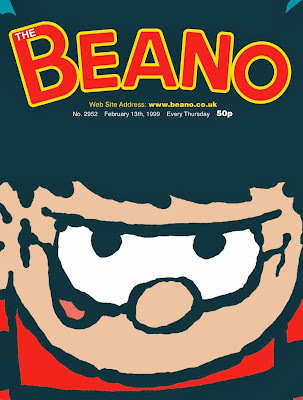 Beano Canvas Sells For £3,200!